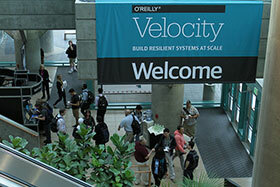 One of the sessions featured at this year’s Velocity conference in Santa Clara is titled, HTTPS in 2015, and it’s likely to cause most web engineers to recall Heartbleed and recent other SSL/TLS security issues. But does HTTPS really matter beyond protecting web logins, user accounts and traditionally secured content? Eric Lawrence, former security program manager for the Internet Explorer Browser, says it does. And not all of it is intentionally designed to change the user experience you’re intending to deliver. Some of it is just misunderstanding about how the web works. He sees it happen with WebSocket - an HTML5 feature that allows bi-directional traffic over an HTTP connection. “We found that when you try to deploy that on connections that haven't first been secured by HTTPS, a sizable number of those connections will actually fail because the intermediary has done something to the traffic to break it. They're expecting the normal request for spot pairs for HTTP traffic and when they don't see that, they fail in some way. They're making an assumption that they're just going to see HTTP traffic,” he says. But WebSocket isn’t the only new technology to be impacted. “When you have HTTP/2 traffic going through such a connection, it will fail as well. As a consequence, HTTP/2 really isn't very deployable without using HTTPS,” he says. He also notes that while it’s not an HTTP standard, most browsers are requiring sites to use HTTPS with HTTP/2. This is allowing security to come to the forefront as web performance gains more popularity, but often causes some misunderstandings about the performance of HTTPS. It's a little bit misleading, and while the technical details aren’t correct, he’s happy with where the discussion is headed. Register for the Velocity conference and learn more about the practical benefits of HTTPS from Eric Lawrence at his session, HTTPS in 2015.